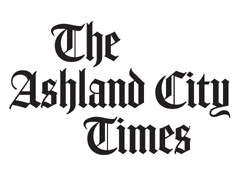 Randy Moomaw came by last week to see the shop, and wrote for the Ashland City Times about the shop for this week’s paper. And thanks, Randy! This entry was posted in Kingston Springs, media, yarn shop and tagged Ewe and Company, Kingston Springs, knit shop, knitting technique, yarn shop. Bookmark the permalink.